Words by Kevin Doocey on January 13, 2015 . There is little doubt that if given the chance, 99% of Newcastle United fans would appoint Frank de Boer as the club’s new head coach. What an incredible upgrade he would be on the departed Alan Pardew. The Dutchman would arrive to a hero’s welcome at St. James’ Park and there would be a feeling of great optimism around Tyneside upon his appointment. Sadly, the chances of the ex-Barcelona defender taking the reins at Newcastle are non-existent at this moment in time. Despite removing himself as a contender as the next Magpies boss, plenty of media sources and supporters alike truly believe he remains a realistic candidate to succeed Mr. Pardew. As much as we would all love it, his name needs to be crossed off the list and the club need to concentrate on appointing one of Remi Garde or Thomas Tuchel - the two candidates that I truly believe are the front-runners at the time of writing. John Carver is also eager to be given the gig, but I think the men in charge of appointing the next boss - Lee Charnley and Graham Carr - are aware that Carver does not have the qualities to handle the full-time position appropriately. As a close ally of the departed Pardew, it would probably be best if Carver left the club completely. Newcastle United needs a fresh start and you can be sure that whoever is appointed the next head coach - they will want their own men in the dugout. Perhaps it is this very reason that Newcastle United are delaying a decision - remember, Carver, Steve Stone, and Andy Woodman are all on lengthy contracts at St. James’ Park. If the club wanted to ensure a thorough change of the coaching setup they would spend the £3.5m compensation received from Alan Pardew’s move to Palace on hand-picking the desired backroom team of the new head coach. Remi Garde is undoubtedly the front-runner for the long-term position and since he is currently unattached, it would make perfect sense for him to be appointed along with his required staff - all for potentially less than three and a half million. One thing is for sure - Frank de Boer has his sights set on managing a bigger club than Newcastle United. 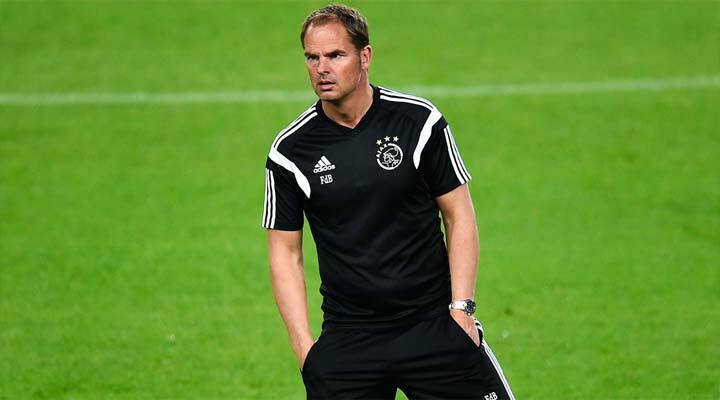 In fact, there are rumours swirling around the Camp Nou that De Boer is a candidate for the next Barcelona manager. Being perfectly honest, the Dutchman’s next club will be a considerable step-up for the 44 year-old, and if I was to hazard a guess, I do think he will be the next Barça boss. If not the Spanish giants, then perhaps a team along the lines of Arsenal. Either way, SJP will not be his next destination and he needs to be removed from the infamous shortlist. Garde would my choice - and I’d appoint him this month allowing him half a season to settle at Newcastle before launching Newcastle United towards an undoubted title challenge in the 2015⁄16 campaign - right?! Comments welcome as ever and feel free to follow me on Twitter @KevinDoocey.